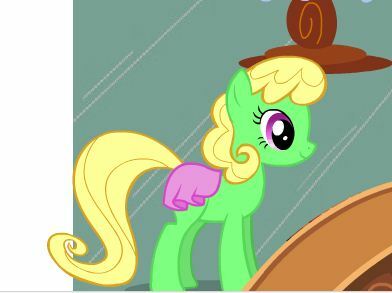 Now you will enjoy the makeover game called Double Ponytail Makeover for free at Gamesmylittlepony.com. As other games on our website, you can play this game in your browser, your mobile and enjoy it for free as well. You will know how to do makeover follow ponytail. This game is designed for everyone, special the girls and ladies who like and need to do a makeover daily. Now, you use your mouse and follow the instructions in game. You will apply beauty products and make this girl nicer. 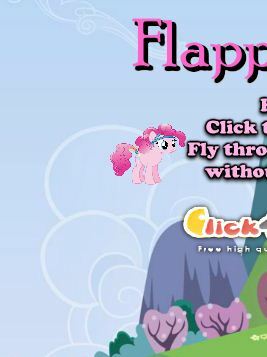 On our website Gamesmylittlepony.com, you can enjoy My Little Pony games, Horse Games, Unicorn games,,, with multi categories such as make up, dress up, racing, riding, caring,..Each game has its own appeal. It depends on your taste, you can choose a suitable game for free time. 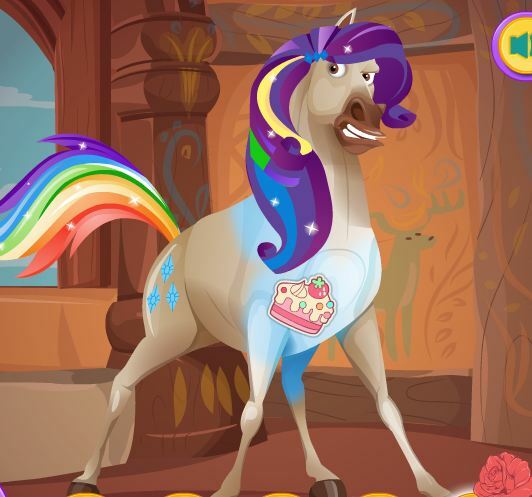 This is a My Little Pony make up game. You will go to step by step of instructions in game and do the makeover for this girl. Please remember that she will follow the ponytail makeover. You will use beauty products and your makeover abilities to make this girl nicer. This is a simple game and everyone can play it. In the first game, you must choose color for her skin. There are eight colors, please choose one you like. Then you will take the nice eyes colors as well. Each part has 8 colors as well. You will choose color for her eyes. You will continue to choose color for eyebrows. Then you will choose color on her eyes as well. Please don't forget to choose mascara for her. It depends on your taste, you will choose one color for mascara. You will choose color for blush and lip. You must choose nice color for lip because this is very important to make this girl nicer. When everything for makeover is done, you will go to next the page of game and choose the outfits for this girl. Here you must choose the hairstyle, dress, and some accessories such as necklace, earring, hat,..With hairstyle, you can choose the long hair with some hair accessories as well. 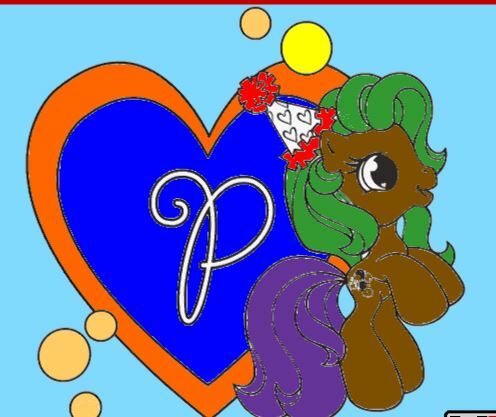 You can choose the color for her hair with many colors such as spikes, straight, blonde, curls, purple, pink. With clothes, you can take dress or top and bottoms. Then you will choose top with leather top, white, leaves, bakini, gown, tunic top, Minja top, tank. You will continue to choose bottoms with leather skirt, white, leaf mini, bikini botton, gown, tunic skirt, ninja pants, shorts. After that, you will take accessories for her as well. 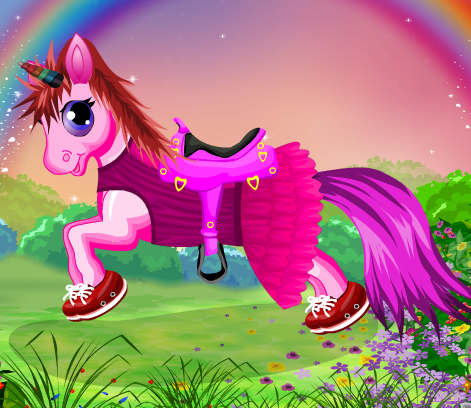 You will follow the instructions in game and do makeover and choose nice outfits for this girl. Each step that you must choose the different abilities. This game will bring you some experience and they help you many things in life. There are many beauty products to make her eyes, blush, lip,...nicer. Here you will have eyebrows, eyes shadow, eyes lash, eyes color, blush, lip color, foundation, moiturizer, face mask, compact powder, Blusher, highlighter, cleansing milk, Mascara, Palette, Eye makeup remover, Eyebrow pencil, Lipstick, Lip gloss,.. you must sue them to do makeover for this girl. You will use the beauty products and make this girl nicer. You will help her to finish task for each step.